I suspect this may be a title I go back to over and over – since I have pre-teen boys –THREE of ‘EM- and they are only getting bigger and hungrier!! Okay, mommas of teenage boys : two eggs, two pieces whole wheat toast & almond milk – not filling up my nearly-teen boys!! What is a cheap filling item I can add to breakfast? (Most morning we have a fruit smoothie instead if milk. ) Shower me with ideas please!!! Now first, let me explain. I do not mind making breakfast, I normally do every day. We no longer get boxes of cereal (TOO expensive and they are hungry an hour later). We have farm fresh eggs (get about 10 a day) at our disposal. And we eat as a family after chores before school. So, I do not mind the prep. But how much food do these people require???? It is no fun when I feed them, and they are still begging for food!! And, I do not want to be mixing up muffins, toasting granola, frying eggs and whipping up a smoothie each morning. So the answer is : let’s start using my freezer!! This all got me thinking about things I have done in the past. I have made a gallon of yogurt. That lasts about a week and a half. I made and froze lots of muffins before friends came to stay and pulled different ones out each night. I need to get ahead of my problem…. I saw a muffin recipe on pinterest that said you can freeze the batter. Perfect!! Then, I knew I need to whip up some granola to have on hand too. And I think I need to start making either yogurt or Kefir every other week. 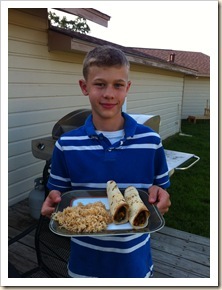 This is a great item to use to fill up those HUGE stomachs. * Note with some of these recipes I will modify the sugar. I do not use white sugar or brown – we use less every time, honey when we can or an organic unrefined sugar if we have to. After I get all these items mixed up, cooked up, or fixed and frozen, I feel like I will be able to throw a few more items on our breakfast table. Or I will have more options for a mid-morning snack. Some other suggestions from my Facebook Friends were oatmeal, peanut butter, potatoes, more eggs, steak (not going to happen here), and granola. So, my granola is cooling right now (nothing like motivation kicking in! ), my 12 muffins are cooking, 24 more are freezing, and I am about to whip up those egg muffin things to bake and freeze. Whew. I think I will have a bit of help with breakfast for the next week or two….I hope!! Meanwhile, if anyone knows where I can sign my boys up for sponsorship through the teen years – for feeding purposes only- please tell me!! 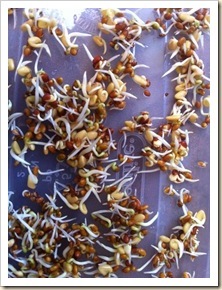 February 21, 2013 janellecoleLeave a Comment on Sprouts anyone? Oh the fun we have had!! We went to a sustainable gardening club meeting recently and it was so much fun!! At the meeting we met people who are thinking like us : garden, home raised meat, and even organic! Not everyone thinking the same, but similar and encouraging! 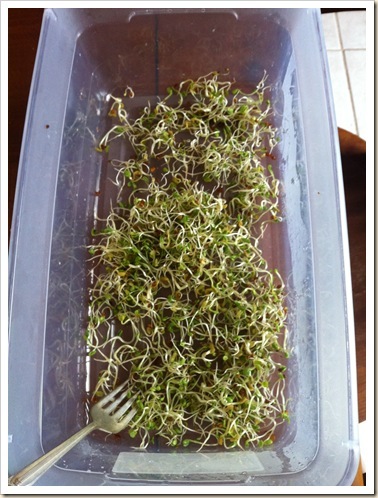 As part of our meeting a friend taught us all how to sprout. I have read tons of posts about this on the internet, but never ventured out to do it. But this time, it was different! Cheri sent us home with a baggie of seeds, a box to raise them, and the knowledge to do it!! You need a fine strainer, we have a metal one. 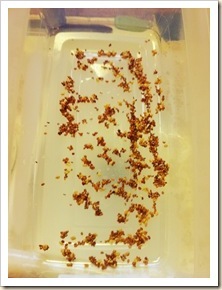 Pour some seeds into strainer and rinse. Then dump into shoe box. (yes they will be wet. Cover the shoe box with lid and leave over night. The next morning, add water to shoe box, rinse around and then dump into your strainer. Dump (wet) seeds back into box and cover. That night,add water to shoe box, rinse around and then dump into your strainer. Dump (wet) seeds back into box and cover. After about 2 days it will look like this…. Keep doing it – you know, wash, rinse, repeat – well except wash is really just rinsing. 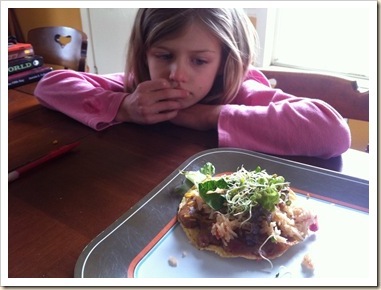 We ate our first batch on our tostadas at lunch … my little girl can’t wait to eat them!! We gobbled almost all of them up in one meal!! The next batch I just left on the counter after the breakfast rinse one day and they were gone by lunch. It was so much fun!! 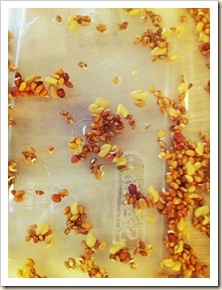 you must use seeds specifically for sprouting – other seeds are sprayed with stuff you cannot eat. You need to rinse every morning and evening to make sure they do not get funky …. if they do feed them to your goats, chickens, steer or the compost! Lastly – HAVE FUN!! So many different seeds you can sprout. We did sprout some wheat in a mason jar, same idea as the box, but I put cheese cloth and a rubber band on top, filled and rinse and then just poured out the water. I left the jar on it’s side during the day. It worked great too!! Are you using Coconut Oil Yet? November 9, 2012 janellecoleLeave a Comment on Are you using Coconut Oil Yet? If not, what are you waiting for? Maybe some free coconut oil? Well, stay tuned, shortly I will be offering some Free Coconut Oil to some blessed reader!! Meanwhile, if you are wondering what you would do with Coconut Oil, well let me help you out!! Almost two years ago I joined the Poo-Free movement. I stopped using traditional shampoo and conditioner. If you do not know what is in those products you need to check it out!! Instead, I started using Baking Soda and water to wash my hair, and vinegar to condition it. As a styling product I use a little bit of coconut oil. These days I am still Poo-Free, but I use the above mentioned products as well as a spray bottle with a mixture of Dr Bonner soap, vinegar, and some coconut oil as a all in one wash once in a while. As for lotion, I hate that there are all sorts of poisons in our lotions, if you do not believe me check it out! Formaldehyde is in most dove products for goodness sake!! So I use coconut oil as a moisturizer. On my freshly shaven legs it is wonderful and never irritates. I use it on my hands, arms, anywhere I feel like I need some lotion. Finally, the fact that I can use the same coconut oil in my kitchen to cook with and eat, is the best part! I am putting something on my hair and skin that I can eat. Guess what? I feel much better about that than all the warnings on every other product on the store shelves that I used to use!! I love to bake with coconut oil, replace it as a 1 to 1 for butter, or any other oil in your recipes. I fry fish in it, I fry lots of things in it. And yes, some coconut oil has a coconut flavor, but we never seem to mind it. My new coconut oil, however, does not have that flavor so you would never know you are using a healthier oil!! I love to use coconut oil in my granola, cookies, and even our oatmeal in the morning!! If you want to see more uses check out TipNut. Well, a great place is Tropical Traditions because they sell an amazing product! If you order by clicking on any of my links and have never ordered from Tropical Traditions in the past, you will receive a free book on Virgin Coconut Oil, and I will receive a discount coupon for referring you! It’s a win/win!! You want to get the Virgin Coconut Oil, and look for Cold Pressed, un-refined, and non-hydrogenated. This will make sure you get the best quality oil! A little bit more about where this coconut oil comes from…..
<img src="http://lh6.ggpht.com/-OmeHqiXjH0o/UJhI7Fw57PI/AAAAAAAAHCs/8gbRIOBHcSQ/videoc0979fb125c7%25255B33%25255D.jpg?imgmax=800" style="border-style: none" galleryimg="no" onload="var downlevelDiv = document.getElementById('b3f9ac00-8cf6-4f2e-a728-65334c5ca545'); downlevelDiv.innerHTML = "
To see some other videos, check out HERE. Stay tuned, the give-away is right around the corner for this Quart jar of Coconut Oil!! 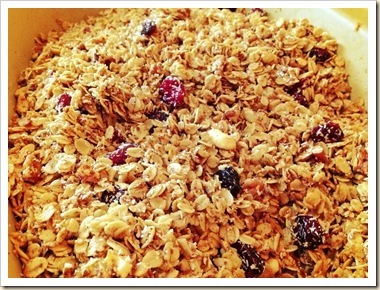 I love to make granola. I cannot make myself buy it hardly ever. Since I love to make it, I really enjoy having it for breakfast but the side dish with granola is yogurt. 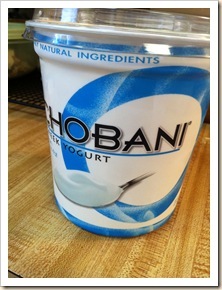 Yogurt is getting more and more expensive! Not to mention you have to be careful what you buy these days with all the additives they throw in!! I have read and heard over and over how easy it was to make yogurt, but I never really believed. Then I saw a pin on Pinterest, and I followed it and was finally convinced. Here is the post that inspired me. 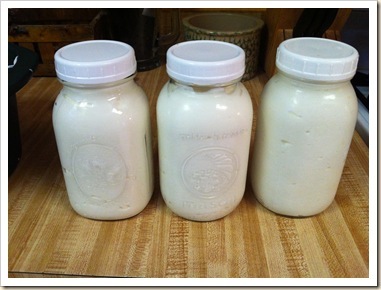 Here are pics of my second batch of yogurt. Now, the yogurt costs about what it costs to drink milk! I can manage that for all of us, much more often!! First, you turn on your crock pot, to low. Then leave it. 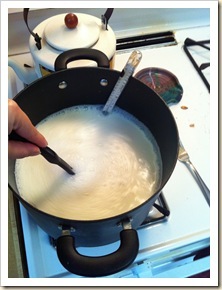 Next, measure milk into pot to heat up to 175 degrees. I started with 8 cups, the second time I did 12 cups. Heat up your milk, stirring until it starts to boil or is about 175 degrees. 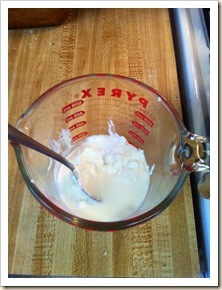 Next, measure out your yogurt cultures – 2 Tbl of active yogurt per 4 cups of milk. Set aside. Get your sink full of cold water, I added ice, I have read cold water alone works too. Finally, once your milk is down to about 100 degrees, scoop out about a cup, mix it with the yogurt, and pour the rest into your warm crock pot. 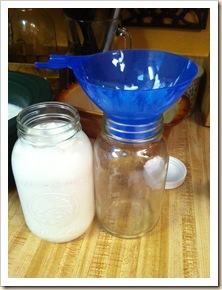 Mix your 1 cup of milk & yogurt until smooth. Then pour that into your crock pot. Mix it all up again. Finally, turn off & unplug crock pot, cover & wrap with a towel. Leave alone for 8-12 hours. I did 8 the first time and my yogurt was mild & custard like. The second time I did 10 hours and it was quite a bit tangy. Next I will aim for 9 hours. After the curing time, take your crock pot and put it in the fridge, I can take my ceramic part out and that is what I did. 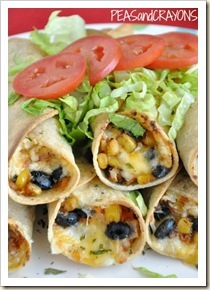 Let it refrigerate over night or about 12 hours. Next morning pour into glass jars. Voila. 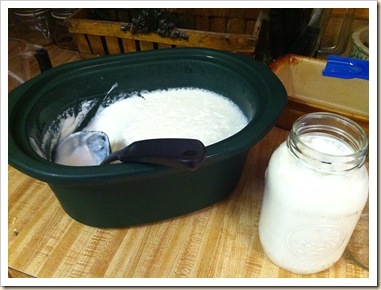 You have homemade yogurt for a fraction of the cost and you know everything that went into it! !